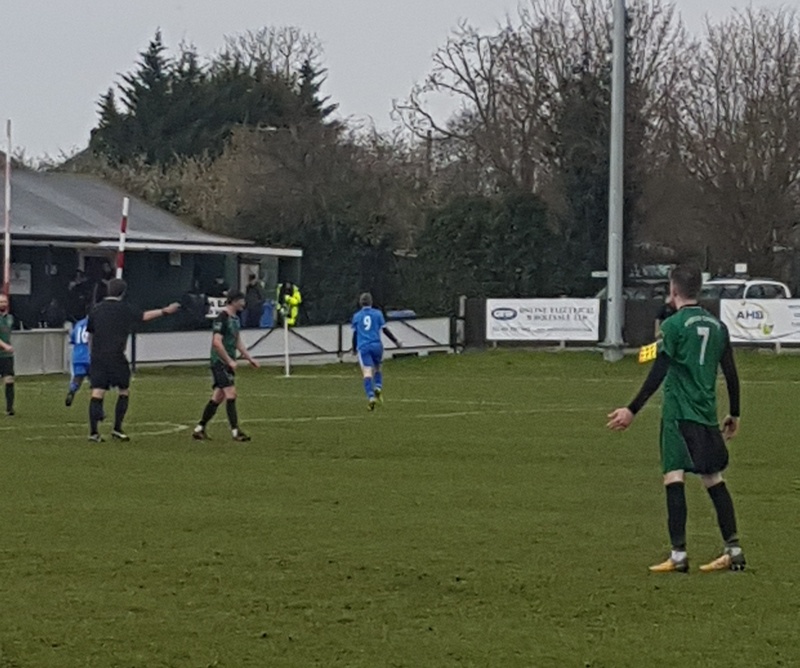 There are many local derbies in football but there cannot be many as local as this one as the grounds of these two sides are separated by no more than 100 metres so there really was only one place to be when this Easter Monday Bostik South game kicked-off. 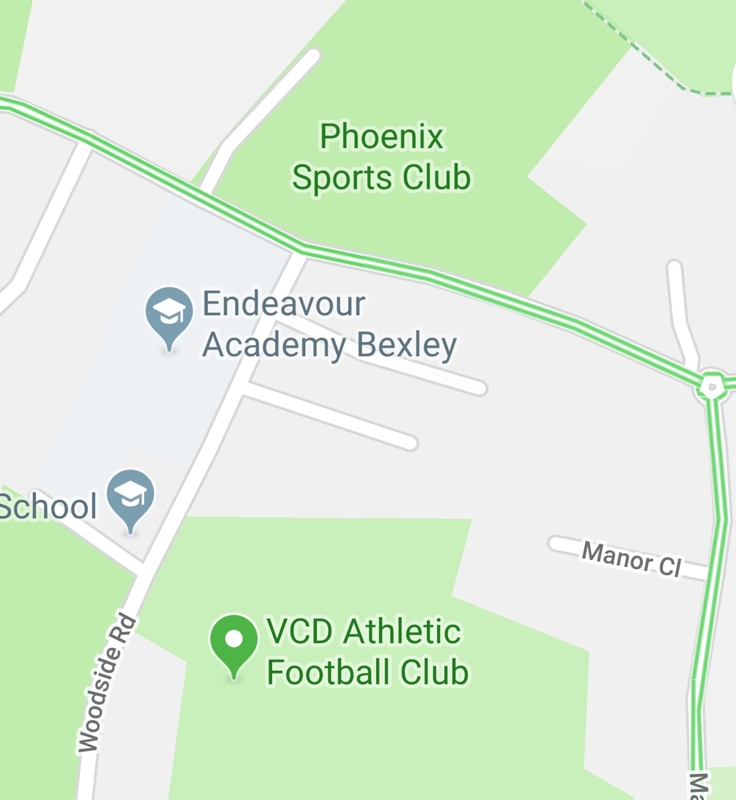 The table showed that Phoenix may hold the advantage as they were 18 points and 8 places above VCD and as they were also at home it was fair to say that they would be favourites going into this one. Bad weather in the area had put many other games in doubt or off but credit to the team at The Mayplace Ground for preparing the pitch for this one and although there it was patchy in the Centre Circle and both Areas this game was more than safe to go ahead. I had been here two days previous to watch the reserve side and had also walked through the gates many times in the past and on each occasion I have been warmly welcomed and with this being one of those games that attracted familiar faces from the scene the atmosphere was good and we all wanted to see who would have the bragging rights afterwards. A decent crowd of 186 had braved the predicted downpour to attend and were rewarded with not just a surprise lack of rain but we also got a decent game of competitive football. 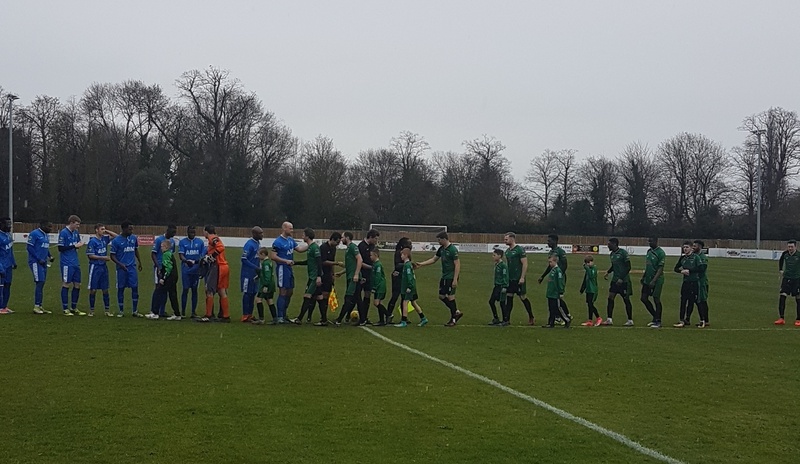 The game kicked-off and VCD were forced in to an immediate tactical change after a first minute injury to their left-back. A defensive reshuffle occurred and that could have been enough to unsettle the visitors, but instead the opposite happened. 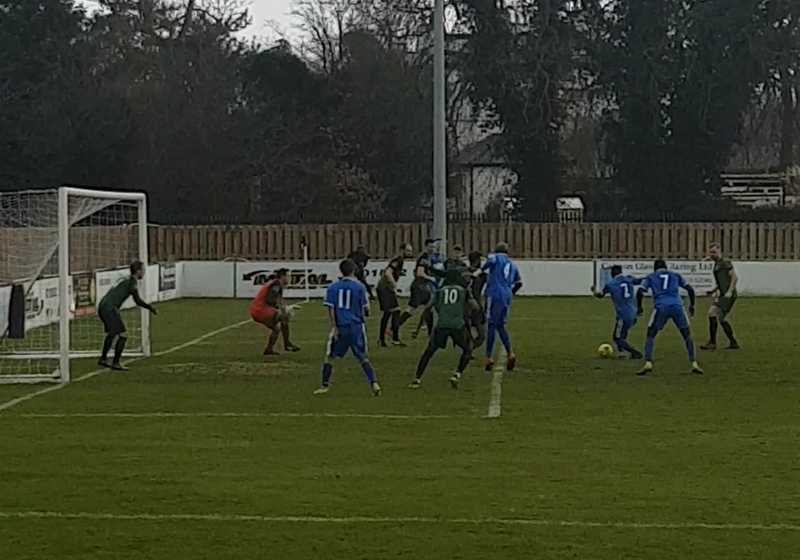 On 5 minutes Alfie Cue found space just outside the box and fired towards goal where the ball deflected off a defender giving Steve Phillips absolutely no chance and VCD found themselves 1 up. 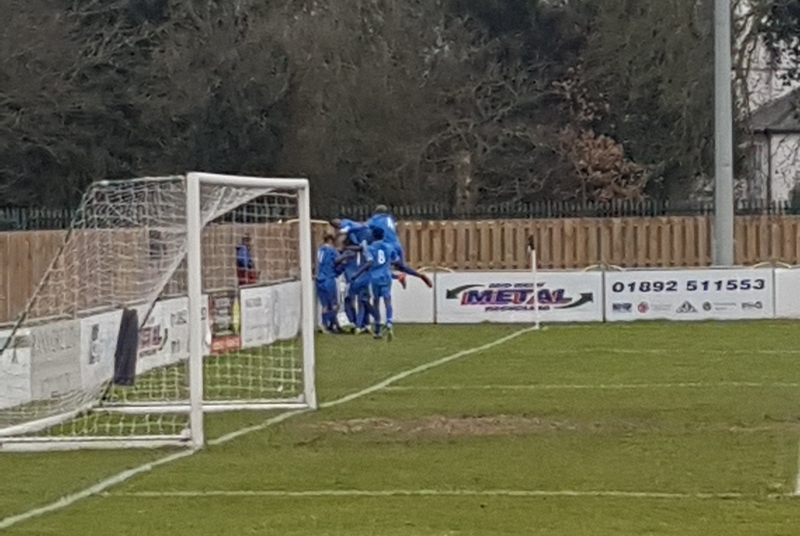 Soon after things got better for the visitors when Cue again made a yard and finished once more to give his side a 2-0 advantage and delight the travelling fans. Phoenix needed to wake up and soon as VCD were looking good. The home side played a Big Man, Little Man up front and in that combination of Jeff Duah-Kessie and Kweku Ansah they have a decent pairing to play that role and they are a duo that has scored plenty this Season. The problem that was occurring today was for me twofold. Firstly when I have seen them before they have had chances being created for them from wide, mainly from Christie Pattison, but with him having moved on to pastures new recently they needed Gil Carvalho or Tony Robinson to beat their man and they very rarely did. Secondly the big issue was that Big Jeff was getting no change from the centre-backs. He would hold the ball up and wait for the runners but VCD were so well organised that any lay-off or through ball was being cut out. It was good to see Marc Gorbell having such a strong performance at the back and alongside Jeffrey Imudia and with the very vocal Junior Baker to their left the defence was in top form. For the rest of the half most of the ball stayed around the middle and with few decent opportunities either way the whistle was blown and it was time for a burger. Although there were no changes made at half-time a few minutes in to the Second Half Phoenix made an alteration to their line-up in the centre of the park in the hope that they could win some ball there and create chances that would get them back in to the game. 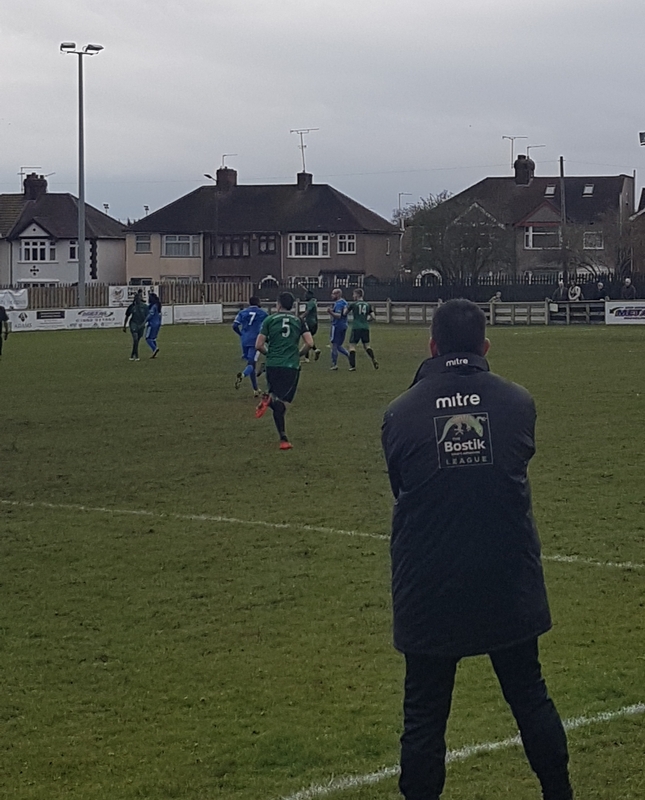 It didn’t quite work though as VCD continued to get the upper hand and following a corner they should have been 3-0 up. The corner was just half cleared and was returned into the box where Jeffrey Gyamfi aimed it towards the goal and the impressive Aymin El-Moyhalbel squeezed it over the line. Celebrations were cut short though when the linesman raised his flag to deny Aymin a deserved goal that would have capped off an excellent performance from the young man. As I filmed this attack I was able to review it and see what an awful decision this was by the man with the flag. The still shot shows how far the number 11 is onside as the man on the line, the goalkeeper and Ashley Probets are all nearer the goal line when the ball was played. It was a bad call and at the time I wondered if VCD would come to pay for this mistake. Credit to them though, they didn’t let it affect them and a couple of minutes later they were to get that third. Jeffrey Gyamfi was playing more advanced than he may have expected at kick-off due to the early injury and the reshuffle it caused but he was having a fine game on the left hand side of the attack and it was him that poked the ball home from close range to make it 3-0 and pretty much seal the game for the away side. The celebrations showed how much the goal meant to him and his team mates and you could have mistaken it for them having won the FA Cup and not the Crayford Derby with the way they bundled on each other! It was left for the more experienced members of the side to drag the others back to their own half and remind them that there was still a good 30 minutes to play. In that 30 minutes Phoenix tried to get back into it, they made attacking substitutions and they gave it their best efforts. But today was not going to be about them. 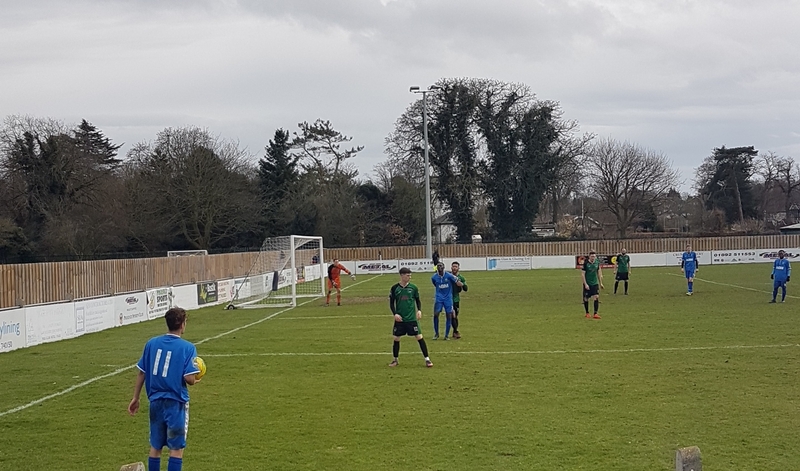 VCD turned up with the right attitude and were bang on their game from the start to the end. They held on to win the game 3-0 and can have bragging rights until next Season. I have seen a fair bit of them but this may well have been the best I have seen them perform. There were no weak links and each man was an easy 8 out of 10. When thinking about a Man Of The Match I struggled to really pick one of them above the rest, but if forced I would give it to Aymin, especially as he deserved to be on the scoresheet! Victory moves VCD Athletic up to 16th position while defeat ends the outside hopes that Phoenix may have had for the play-offs. Once again it was a cracking afternoon at The Mayplace, not just the football but the whole Match Day experience. Phoenix know how to be great hosts and have some great people down there and I will be back before the Season is out for sure.